Albeit a little late as we head into winter, but a brief recap of the recent events here at Studio 5. More of our team from the UK joined in to bring our major projects to a conclusion, with Kevin taking up the baton on the finishing straight for our HOA document management and delivery system while others worked on an insurance assessment app for a UK company. And Joseph will be back in the office for the holidays working on more projects. So it just leaves me to bid you season's greetings and a very happy and prosperous new year.. 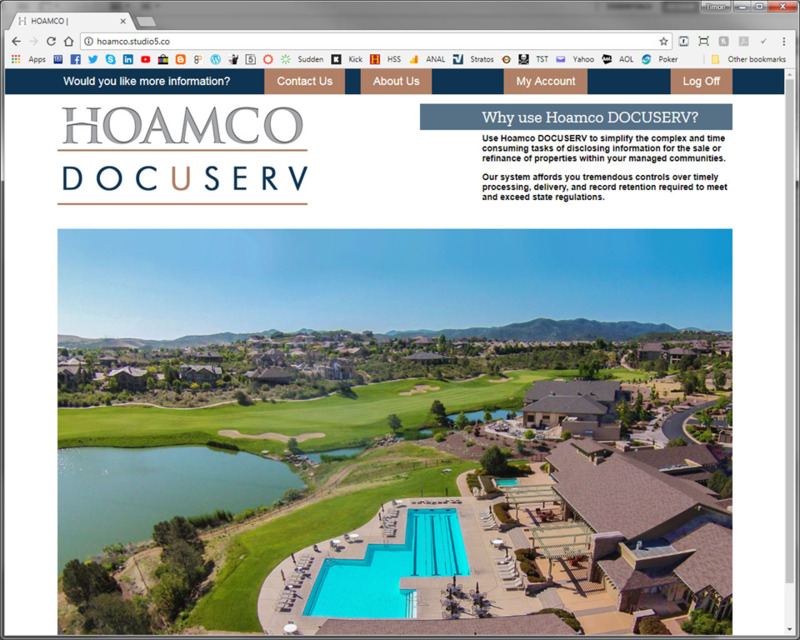 This web development project was a ground up solution for document management and e-commerce delivery system for property sales and refinancing for Home Owners Associations. The core of the project was essentially the relational aspect of document types and then associating them with appropriate organizations, including dynamically produced PDF's from questionnaire forms on the site as part of the order processing. 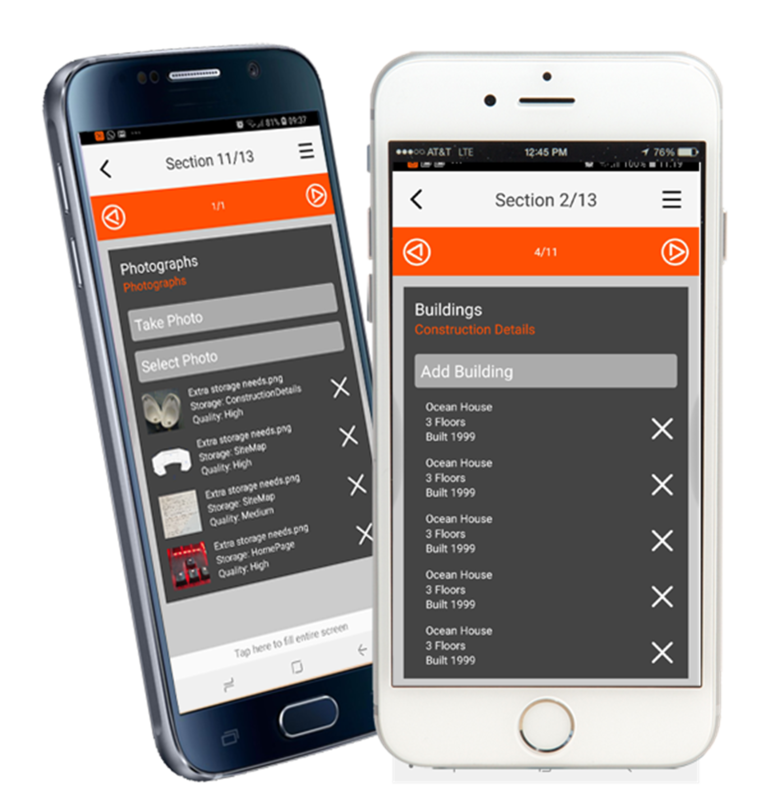 Various permission levels for admin and customers alike, give access to areas of the site and specific documents. The whole project took several months to complete with copious beta testing to bullet proof the system. The system will roll out live to clients over the coming months. 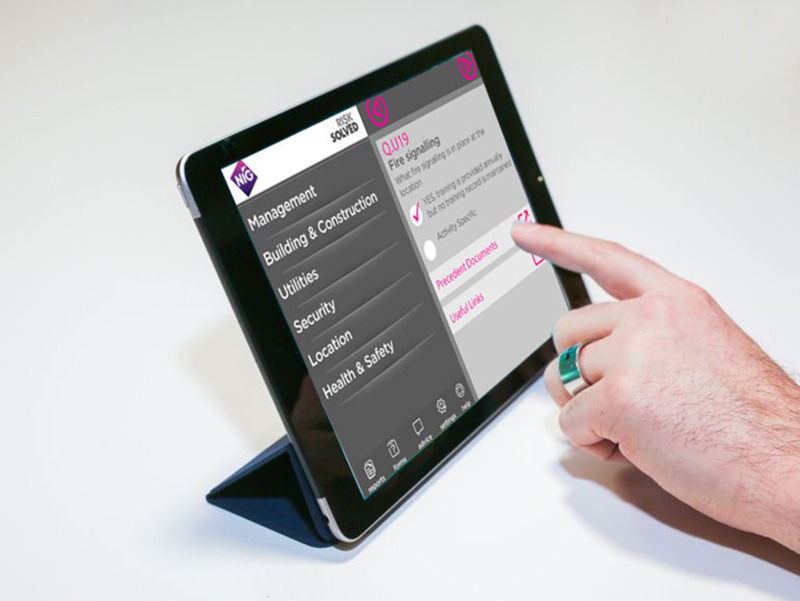 An interesting project for a UK client, an insurance risk assessment app, across both Android and iOS with layouts to suit tablets and smart phones to best utilize the real estate available on the various devices. Something entirely different and an invigorating change was working with local hero and artist John Soderberg creating the silhouettes for an art installation at Tlaquepaque for the official launch of the Call of the Wild mural inspired by Lauren Strohacker. It was great to see everyone including some some local artists joining in the fun. On the same front, we revamped the Plan B website to improve the overall design and navigation. 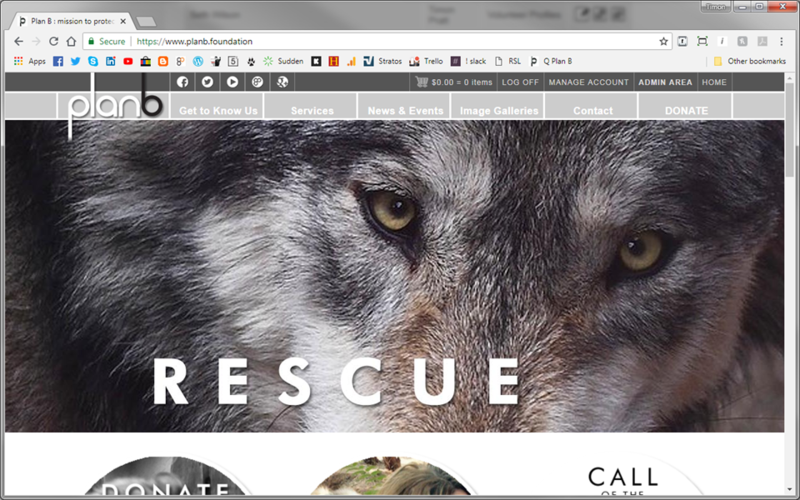 The initial website had been created in somewhat of a rush and we found time to improve elements while adding facilities to the content management system, CMS. Something a little different for Studio 5, although we have previously been involved with publication design in the world of magazines at least. This is a hard back book and limited first edition of 100. At the inaugural Sedona Wolf Week, there was a "Rewrite the Fairy Tale Contest" asking people to rewrite the story of Little Red Riding Hood and place the wolf in a favorable light which attracted submissions from all over the nation dispelling the myths of this age-old story. This 50+ page special edition book accompanied by magnificent photography and illustrations. The initial publication of the book is limited to just 100 copies and will include a Certificate of Authenticity. Working with The SmartGal we were asked to help out with the design for the Illuminate Film Festival Program this year. 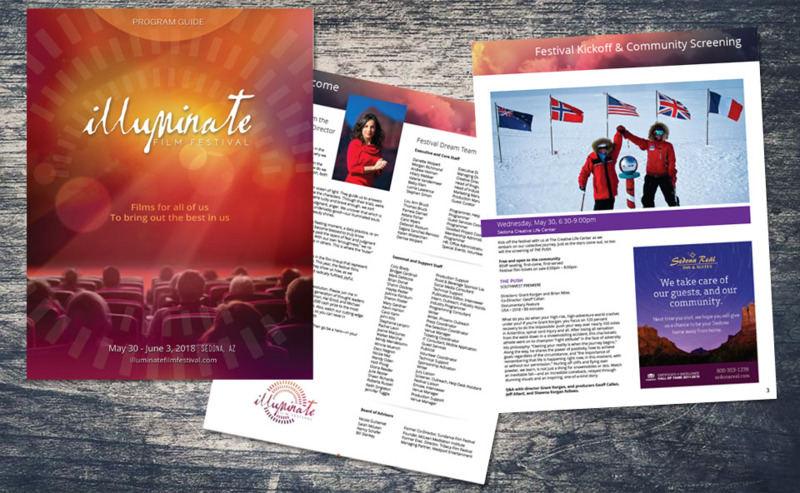 A 36 page guide of the festival's content, due to the expansion of the festival and the local support for it with advertisers and sponsors.